Your sorority has a brand. Unless your sorority is a local sorority, and you are the only chapter of it that exists, your sorority has a brand. As a social media manager for your sorority (or someone who makes flyers, banners, posts a few images on Instagram, etc) you need to utilize that branding. My sorority Tri Sigma recently released our branding to sisters across the country. Any sister can go to the website and download logos, backgrounds, symbols, and more to use on their website and social media profiles. We also provide our sorority chapters with professionally done websites. I can’t tell you how helpful having a professionally done website was for my blog and I know it can be helpful for creating cohesive branding across all sorority chapters. If your sorority gives you a designed website, use that, because I promise it will be 100x better than any Wix or Weebly site any person could make. Tri Sigma also released a brand guide with all the information my sorority sisters needed to know to find the fonts we use, our official colors (with color codes), as well as things like press release and presentation templates. More than likely, your sorority has a guide like this too, so figure out where it’s located and become best friends with it. While your national sorority has a lot of branding elements, your chapter probably has a local brand as well. You need to understand what your sorority’s vision is. Earlier this year I shared a post all about how to determine your sorority’s vision, and this is something that you definitely need to determine. 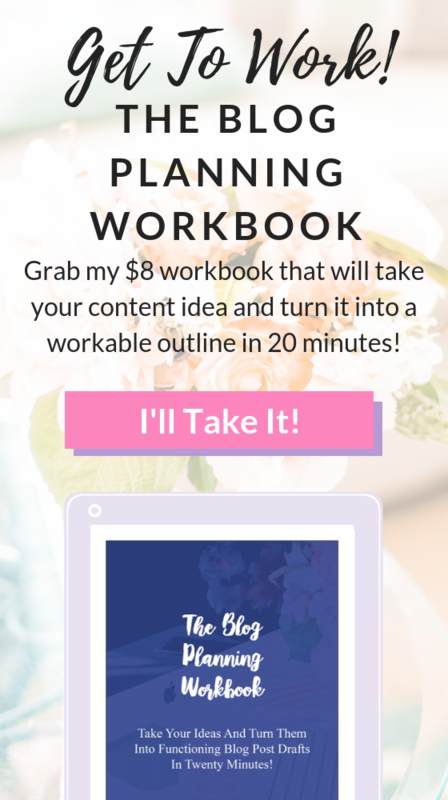 As the sorority social media go-to, you need to understand what your sorority wants to accomplish as far as goals go so that you can come up with a specific plan to make that happen. Get together with the officer team and your sorority (especially the recruitment director) to understand what they need from you as a social media manager. Write those goals down and figure out ways that you can use visual and written communication to help your sorority reach those goals. You may not be able to explicitly help with all of those goals, but there is a chance you will be able to help with a good chunk of those goals with a bit of creativity. If you are holding a chair or officer position within your sorority, chances are you haven’t been a new member in a while. Social media has potentially changed a lot since you joined your chapter, or you may have just forgotten what it was like to be a scared potential new member just trying to find the house they fit in. Survey your new members and ask them about how they perceived social media as a new member (specifically asking them what they thought of your social media presence.) Ask them what they thought of your sorority and your values based on your social media presence. Ask them what they thought was lacking or could be improved about your presence online and ask them to be honest about it. This can be extremely helpful as you begin to craft a narrative about your sorority on your social media profiles. Then go back and examine specific posts from your last recruitment cycle. What kind of posts did you make? What did you focus on? How can you change around your social media so that this year you create better content to draw in more potential new members? Consistency is a place that I find a lot of sorority social media sites lack. You need consistency to grow, showcase your sisters in the best light, and to constantly be in the minds of people. Find ways to keep your content consistent, whether you ask your members to submit content and use a certain hashtag, or you make graphics for your social media, etc. I suggest trying to post at least once a day on each platform (and maybe even increasing it during recruitment season). Forget Bursts Of Content, Schedule That Stuff. Okay, I am going to give you some great advice, so listen up. SCHEDULE YOUR CONTENT. Scheduling your content will seriously save your life and keep your social media going forever. So many sorority chapters go through their bursts of content. Think of the “I’m going to share 10 pictures and 10 Twitter updates in one day because we need to get our voice heard!” style of social media managers. This won’t work. You need to get a social media scheduler (or a few different ones) and stick to them. Right now I use Buffer to schedule content for my blog (But there are also other great ones like Edgar, Hootsuite, etc.) Specifically for Pinterest, I use Tailwind. For Instagram, use sites like Buffer to schedule push notifications to post, but don’t use schedulers that post straight to Instagram. For social media sites like Facebook Pages and Tumblr they have social media schedulers already built in to the site so use them! When creating content for your sorority you want to share content that is well-lit. Don’t share images that are grainy or hard to see. In my opinion pictures with bright, natural lighting are the best. Keep your lighting in my mind when you are sharing content on any social media profile. Sometimes when we have diversity in our sisterhood, we forget that not everyone looks good under the same filter. If you have a picture and any one sister looks bad, don’t sacrifice that sister for the good of the group. Make sure everyone in your picture looks good before you post. Showcasing your sisters is very important. You want the potential new members to be able to imagine themselves with your sisters; having your sisters as bigs, mentors, and best friends; and most of all you want new members to be able to imagine themselves living your values and creating a home within your sorority. The best way to do this is to introduce potential new members to your members. Showcase your talents, strengths, vulnerabilities, etc. Be real and showcase how your sorority changes the lives of your sisters. I have seen a lot of great spotlight ideas over my time looking at various social media profiles. Here are some spotlight ideas. What You Love About Your Sorority: Get your sisters to provide a short quote about what they love about your sorority. Be it the sisterhood, support, academics, networking, etc. get your sisters to brag on your sorority. Account Takeover: This summer I saw one of the sorority chapters I follow do this and it was awesome! Do you know a sister who is traveling somewhere fun this summer? Ask her to takeover the sorority Instagram or Snapchat and showcase her travels and love of your sorority. If two of your sisters are hanging out and going to a concert or something fun ask one of them to showcase the experience and talk about sisterhood on one of your social media networks. Sister Of The Week: It’s good to recognize people for their achievements. I have seen people use these kinds of spotlights to admire people who are doing well within the sorority. Some people have a more general sister of the week award but I have also seen people spotlight sisters who are doing well with academics and you can also use it to spotlight people who are living your values, doing well within their chair/officer positions etc. General Member Spotlights: Lastly you can spotlight just to spotlight. You can come up with a few questions to ask your sisters about their experience with the sorority and spotlight your new members, officers, chairs, etc on your social media sites. Here are some potential spotlight questions in case you needed some ideas. First and foremost, you need demographic information. Make sure the audience knows simple stuff like the name, age, year in school, officer/chair positions, etc. of the person you are spotlighting. What is your happiest college/sorority memory so far? What is your favorite game day chant? What advice would you give freshmen about the college experience? What is one thing you wish you’d left at home when you packed for college? What do you like about your leadership role within the sorority? What advice would you give someone going through formal recruitment? What has been your favorite sorority event? What is your favorite part about the sorority’s philanthropy? How has your life improved since you have become a member of the sorority? What is your go to place around town? What is your #1 Welcome Week tip for college freshmen? These are some basic spotlight questions you could potentially ask a sister to answer to give potential new members at your school a look into your chapter and sisterhood as well as some advice for their freshman year college. There are so many different questions out there that could be asked but this is a great start in my opinion. Remember, The Accounts Of Your Sisters Count Too. Never underestimate the snooping that happens when new members are excited about recruitment. You shouldn’t micromanage what your sisters posts and tell them to only post bright and managed photos, but you can have some basic guidelines of what is appropriate to post (examples: no drinking in your letters, don’t show underage drinking on your profile, be smart about using profanity, if you wouldn’t want your grandma to see it don’t post it on social media, etc.) You honestly never know if someone may be checking out your sisters accounts to see if they feel like they would fit in with your sisterhood. Go back to your time as a new member. How much did you know about the sorority sisters before going through formal recruitment? 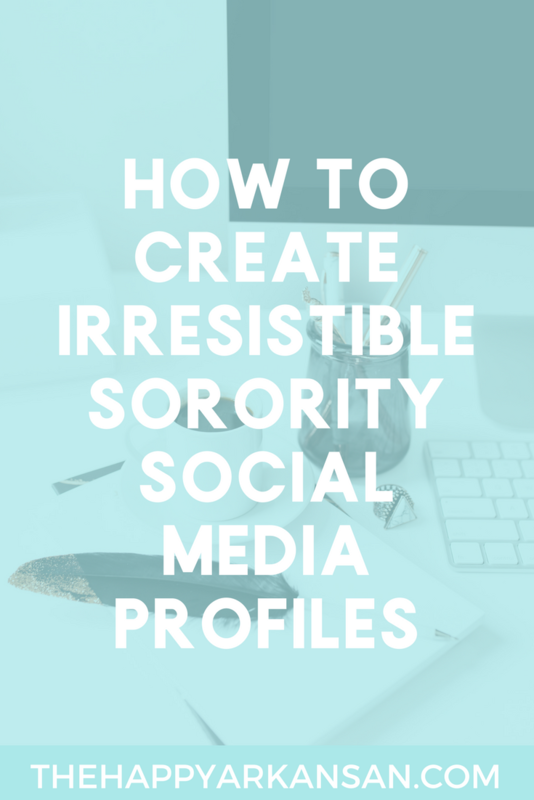 Chances are, unless you had a good friend in a sorority already or your sororities had amazing social media profiles, you didn’t know much about the sororities on your campus. As sorority women, it is our job to get our name out there, make sure people know what we stand for, and what we have accomplished. No one likes to brag on themselves, but this is just something you have to be able to do. The potential new members don’t know you that well. They don’t know your accomplishments. They don’t know about the award you won from your national organization. They don’t know about the event you held last semester that raised $10,000 for your philanthropy. They won’t know these things until you tell them about it. The best advice I can give you is to make a list of your recent accomplishments as a sorority and the recent accomplishments of your sorority sisters. Make this a Google document and share the document with your sisters. Ask them to add to the list as they see fit. Here are some accomplishments you should definitely be sharing. When making your list, make sure your sisters know about the resource so they can share this information, but as the social media maven of your sorority make sure you are talking about this content in various ways on social media from shouting out a sister on Twitter who is doing a spectacular job to sharing a blog post featuring an alumna who is doing amazing things for your sorority. Use the hashtags in your post: The first thing you want to do is use the hashtags in your specific post. There is usually a general school hashtag that people often use to discuss general college life. At my alma mater that hashtag was #UCABears. Going through this hashtag would do well to connect with all students, but if you specifically want to focus on new students, use the hashtag for new students. At my alma mater this was usually just UCA+the graduate year of people coming in, so for this year #UCA2020 could be a potentially great hashtag to use. These hashtags run the risk though of getting too overcrowded with sorority and recruitment content so, use sparingly. Connect more than you post: Because of what I mentioned earlier, it may be in your best interest to connect with the hashtags more than you post. Hashtags are a two-way street as I have mentioned on my blog before (in another context.) When I share content as Tri Sigma sorority, I not only use the Tri Sigma hashtag, but I also connect with others who use the hashtag. I make sure to like their posts, comment on them, and also repost them to the national Instagram page where appropriate. Obviously sharing random freshman pictures on your social media page is a no go but interacting with them, answering questions, and giving them encouragement is great. With connecting, make sure you aren’t breaking council rules. Using the hashtags of your campus or interacting with those who post on the hashtag may be against your Panhellenic Council (or any council you are on) and their rules. Be sure you are always following recruitment rules when it comes to contacting potential new members. Councils still don’t really know what to do with social media. We are all trying to figure this out and Panhellenic councils don’t have their degrees in managing Instagram posts. Contact should definitely not be made in any capacity with potential new members during silence periods, but you may also not be able to contact them during periods of contact if you don’t know them personally. Be wary and cognizant of these rules, they are there for a reason! Social proof is important to the validity of your sorority on social media. If someone is talking about an event you put on or something you did for another fraternity or sorority, don’t be afraid to share that (especially on Twitter). Sharing your social proof of what your sorority has been up to in the eyes of other people is a million times more effective than any selling of the sorority that you personally do yourself. When you can point to a post on Twitter of how other people perceive your sorority you can have a lot more influence than if they just hear it from you for the 1,000,000th time. Running social media as a sorority sister can be difficult. You are not always classically trained to be a social media maven. When you were stuck and don’t know where to start, figure out what other people are doing. You can go about this in many different ways. Check out other sororities on your campus: When you want to figure out some interesting things to do on your social media accounts checking out other stories on your campus is the best way to go. Checking out how often they post, what they post about, and what the pictures look like is really helpful. Understanding this information will help you craft your own sorority story. Obviously, you don’t want to copy their style picture by picture, but keeping track of what they post is important. You don’t want to be left behind because you’re not looking at what other chapters post. Check out what other chapters within your sorority are posting: Another great way to get ideas for what to post is to check out other chapters of your sorority. You can easily do this by looking up your sororities hashtag on social media or seeing who your sorority is following. Other chapters within your sorority probably have all sorts of awesome ideas on what to post, so don’t be afraid of checking out what they are doing. Don’t spend all your time checking out all the other sororities on your campus. It’s okay to take a peek every blue moon to see what they are doing and to brainstorm how you can improve your sorority’s social media accounts, but don’t compare yourself or your social media numbers to anyone’s numbers. You never know what it took to get them those numbers. 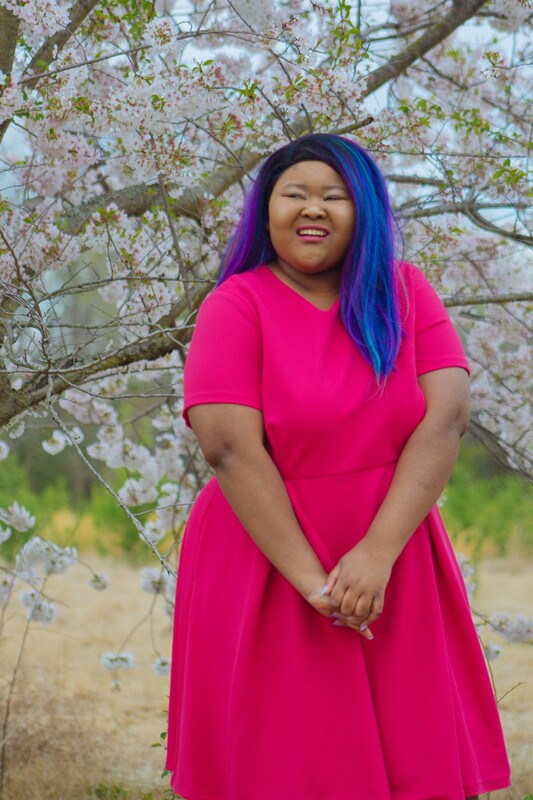 They may have whole committees dedicated to social media promotion, a manager who works with social media for a living, or a whole host of support from various places such as alumnae who work within the social media promotion space. Work harder to accomplish what you want, but don’t get upset when you don’t compare right away. Social media takes time. Last, but not least, keep it on brand with your values. If your values are something like faith, hope, and love but you are showcasing all the wrong things on social media––that’s a no go. Your social media (especially when you are acting in the capacity of your entire chapter, as I understand that individual people within your chapter may not always have social media that lines up with your values all the time) needs to be on brand with the messages your sorority is putting out. Understand exactly what your sorority is all about and add that branding to your sorority social media. Understand that sorority social media doesn’t just happen right before recruitment and that building a brand on social media for your sorority takes time and effort. Creating great branding will really help you stand out and give sorority women a chance to get to know your chapter before you step foot on campus. Have Fun. Be On Brand. Showcase Your Amazing Sisterhood. If I could wrap this up in one statement, the above statement would be what I would say. You have an amazing sisterhood and you need to showcase that to your potential new members and college community. I hope these tips have been helpful for you as you come up with a social media plan that will take you into the new school year and beyond.